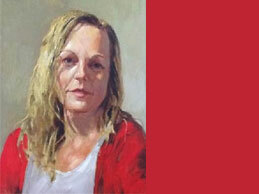 Join this oil painting workshop with guest artist Jeff Wright. To be held on 21 – 22 June 2014, cost $150. Numbers are strictly limited, and first in first served. For more information phone Janet Buckton on 0428 820 440 or email Janet on janetbuckton@bigpond.com. Click here for Workshop Enrolment Form. country until settling in Griffith in 1977.
all the elements depicted on the canvas. although he does paint in water colour and pastel as well.